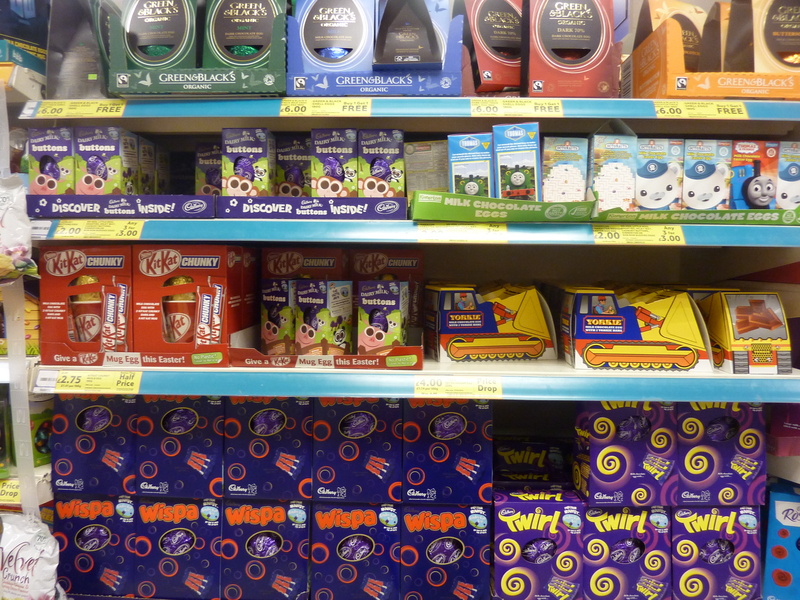 Easter is coming and the Easter eggs are in the stores, lines and lines of them. It is a very British tradition. Around 80 million eggs are eaten in the UK each year. There are an estimated 63 million people in the UK and that means some people are eating more than one egg. Even the Queen on her jubilee year may be tucking into a few of them. Lent lasts for fourty days. It is based on the time Jesus spent fourty days and fourty nights in the desert. 40 days and 40 nights. The number fourty seems to have significance in many areas. The flood which Noah built his ark for was for fourty days, Jonah gave the people of Nivenah fourty days to repent. Then this idea of fasting or avoiding the thing you love to eat developed. It is odd; it is about giving up something and not taking up something. Someone I know is giving up takeaways for Lent, another chocolate and crisps. Chocolate seems a common one.